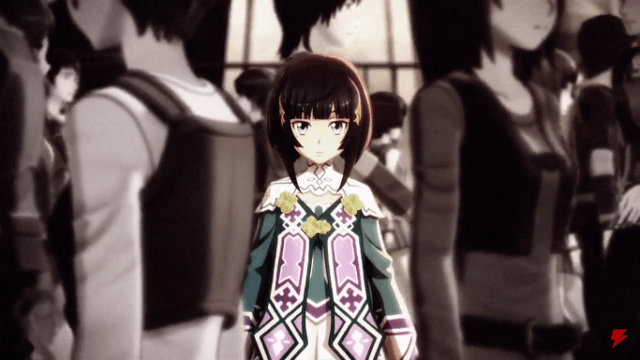 Sword Art Online: Hollow Fragment is one of my favorite game’s of last year, so when the chance came around to check out the latest game in the series, Sword Art Online: Hollow Realization, I quickly jumped on it. 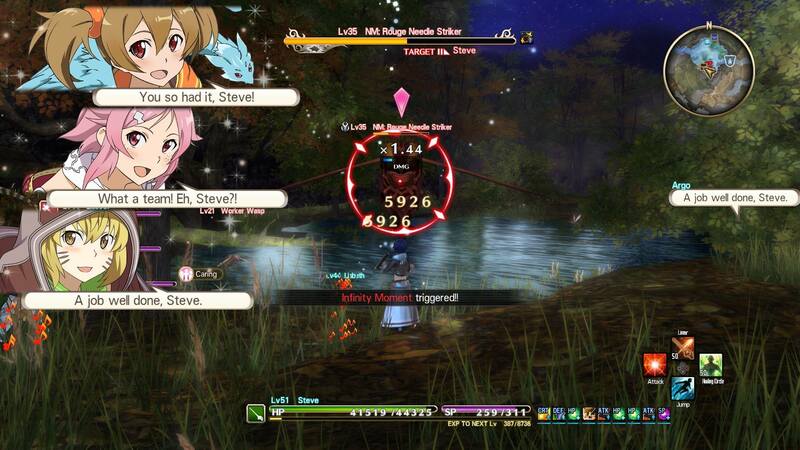 This entry combines the offline MMO fighting system from Hollow Fragment with the more action based combat of Sword Art Online: Lost Song. Does this combination work? Does this game live up to hype set by the franchise? Let’s find out! The story follows Kirito and the gang as they beta test an all new VRMMORPG called Sword Art Online: Origins. Soon after arriving in this new world Kirito sees a strange looking NPC and receives a mysterious message that reads, “I am back to Aincrad.” He doesn’t realize it yet, but this will be the start of quest not only to save this virtual world, but all of VRMMO Gaming. I found the story here to be pretty basic but still interesting. It’s refreshing to see a new take on the canon story and overall I was very entertained. 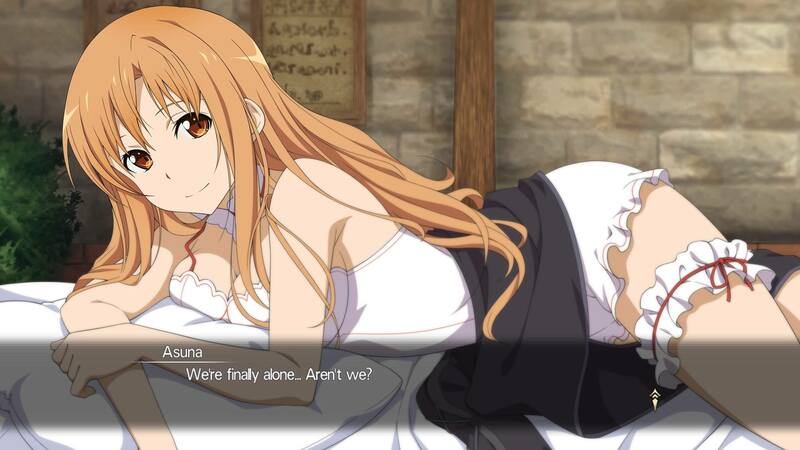 The character interactions for me are still the greatest part of the SAO story, and this game doesn’t disappoint. All of the event scenes are well done and you really feel like you’re hanging with old friends having fun. The new NPC character Premiere develops as the story progresses and honestly she is about the most lovable character in recent memory. While all of the storytelling and character development was great, the localization was very substandard. Lots of typos and oddly worded sentences show Bandai Namco is gonna have to do a much better job in this area in the future. This is unacceptable for a full priced title. The interaction with your party members has been revamped this time around. Those that played the first game remember the crazy conversation system where you said ‘yes’ a lot and ended up with nonsense for replies about half the time. I won’t say they fixed all of the issues with this, but it is far better this time around. Each character will say slightly different lines when you get physically closer to them depending on their mood. You can actually give the girls head pats, so you know this is a 5 outta 5 review, right? In all seriousness, this does spice up these convos a bit and even seems to affect which of the bed scenes you receive when you get the gals back to your room. The characters all have a variety of personality traits which you can praise them for in combat. This works very similarly to how praising your partner for using certain tactics in Hollow Fragment worked. Characters will not only unlock unique armors by leveling up certain traits but they will also gain some great stat bonuses. This may seem a bit more streamlined, but honestly in some ways it is more complicated than the crazy tactics system in Hollow Fragment. After 75 hours of this game I’m still not 100% sure I have this down pat, amd I was never quite sure if this had any effect on their mood when you interacted with them in town or not. Graphically, Sword Art Online: Hollow Realization is sharp. The character models all look really good with lots of detail. I love that all the armor sets and weapons have slightly different looks, but I do wish there was more variety in the unique armor sets. The enemy models look nice, but honestly there should’ve been a few more enemy types added and less palette swapping. The environments are detailed and add a lot to the overall experience. You may be in a poisonous swamp one minute and the depths of a castle keep the next. The framerate is really solid on the PlayStation 4 at 60 FPS with maybe a little slowdown if there are a ton of Sword Skills playing out all at once, but this was very rare. The game’s soundtrack is fantastic, because it has that same epic feel as the music from the anime. Lots of fantasy inspired themes for exploration and some heart pounding battles tracks make this the best OST in the series. The sound effects are pretty basic RPG fare, but you will recognize lots of sounds that come straight from the SAO anime when opening menus and such. The Japanese voice cast has returned to reprise their roles as your favorite characters and as always they are spot on. Just like in the previous game there is no English dub. Right off the bat, players of Sword Art Online: Hollow Fragment will feel right at home with the gameplay of this one since it has a very similar set up. You have an event list that will tell you where to go to start the main quest or which characters and places to visit to trigger the side events. Ainground is very different from the tower found in the previous game. There are no floors, instead the game’s areas appear as if you had taken a bunch of floors and laid them out flat. Each of the game’s area are large in scope and scale with plenty of nooks and crannies to explore. When you work you way to the end of each area, you will be greeted with an area boss and just like the last time, you will join several other groups of players in order to take down these huge beasts. Though I thought the boss battles were great, they didn’t have the difficulty to make them feel truly epic. Like I said in the opening, the combat is like Sword Art Online: Hollow Fragment in a lot of ways but is more action oriented. You press Square to perform sword combos that will end with a Sword Skill. This feels a lot better than the auto attacking found in the first game. You can also dodge enemy attacks easily and the game will show you the area that enemy attacks will affect before they are unleashed. You can also chain skills with your partners to pull off a vicious combo attack. 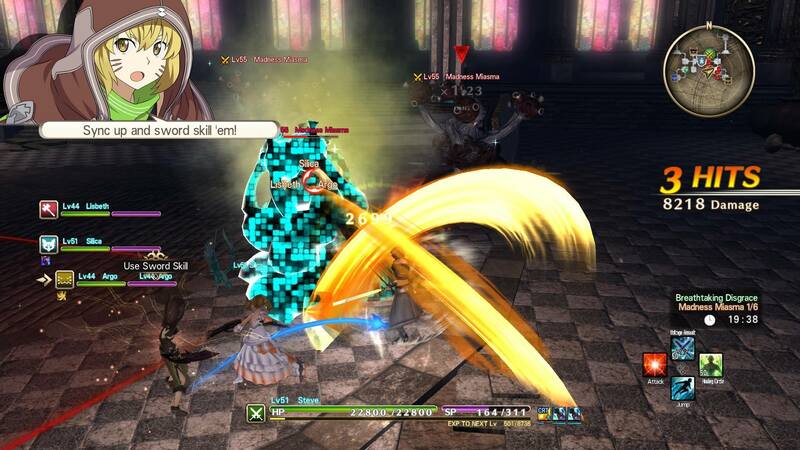 The palettes are back from SAO: Hollow Fragment as well, and you can setup several shortcuts to your favorite skills and issue party commands with ease. Combat feels more dynamic this time around and is just a pure joy. 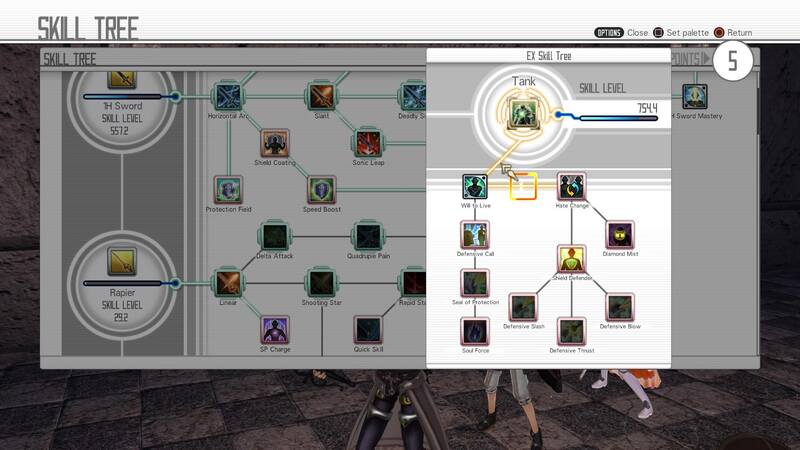 The skills tree is the exact same as what was found in Hollow Fragment. You gain skill points as you use the game’s various weapons. You will then use these points to unlock skills and abilities on the skills tree. The main difference here is that in addition to your main skill set, you can equip an EX skill set. These will give you various skills that are specific to that set. For example, if you equip the Healer EX skill you will have access to tons of powerful healing spells or if you choose the Tank EX skill you will be able to use some crazy defense buffing skills that taunt the monsters. There are even a few of these that are hidden in the skills tree that you can find by mastering certain weapons. Sword Art Online: Hollow Realization is a massive game. Aside from the 75 hours it took me to complete the main story there is a multitude of overpowered monsters I could work to defeat, tons of unique equipment I could still quest for and even online multiplayer. While the localization is a letdown and the game really needed more enemy types, fans are getting more than their money’s worth at the $59.99 price tag. 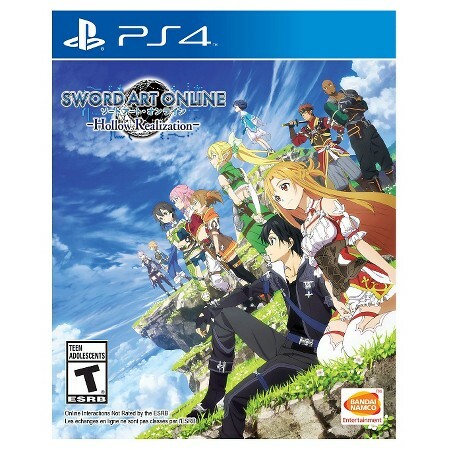 This game is a must own for Sword Art Online fans, and if you’re a fan of MMO style RPGs I think you will find a lot to love here as well.